Anti-narcotic officers of the Excise department arrested three individuals today for the possession and trafficking of heroin weighing 100 Kgs and valued at nearly Rs. 1100 million during a raid conducted in Wellawatta and Pilliyandala. 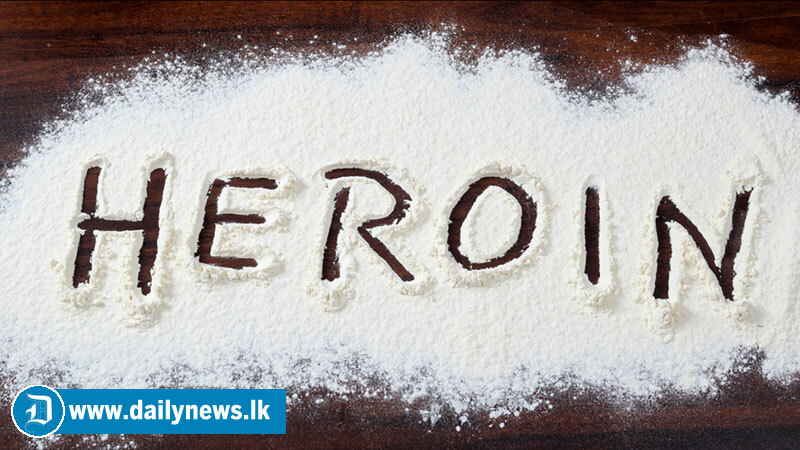 OIC of the Excise Anti-narcotic branch K.Pathirana told the Daily News that the officers initially arrested two individuals in Wellawatta for the possession of 10kg of heroin which they had been transporting in their car. Upon further interrogation, the suspects led the officers to a safe house in Pilliyandala where nearly 100kgs of heroin was being stocked. Deputy Excise Commissioner Kapila Kumarasinghe also revealed that the confiscated haul of heroin belonging to the brown sugar variety was valued nearly Rs. 1100 million. Kumarasinghe said that the Excise Department was assisting the government’s anti-narcotic drive by delegating more than 100 excise officials along with the police and customs to eradicate the narcotic menace in the country.